The Ultimate Divi Mega Menu Builder! Divi Mega Pro is the easiest way to create gorgeous, full-featured Mega Menus and Mega Tooltips using the Divi Builder! 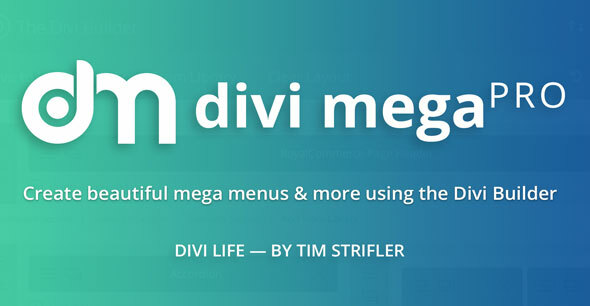 Divi Mega Pro taps into the power of Divi to allow you to create any kind of Mega Menu you desire. Cannot retrieve any response from Divi Life server. Please contact Divi Life support.